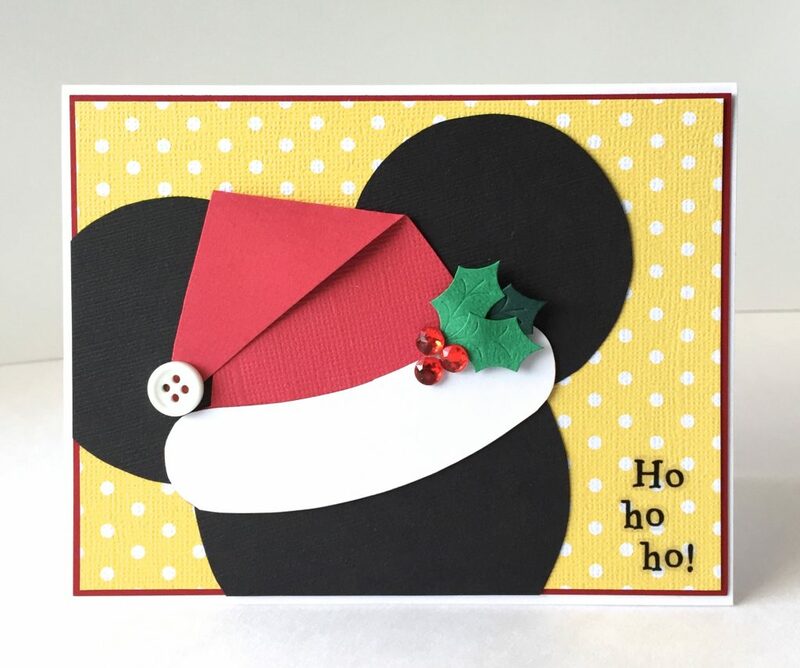 Layer red card stock and yellow/white polka dot paper on a white card base. Add the black mouse ears. 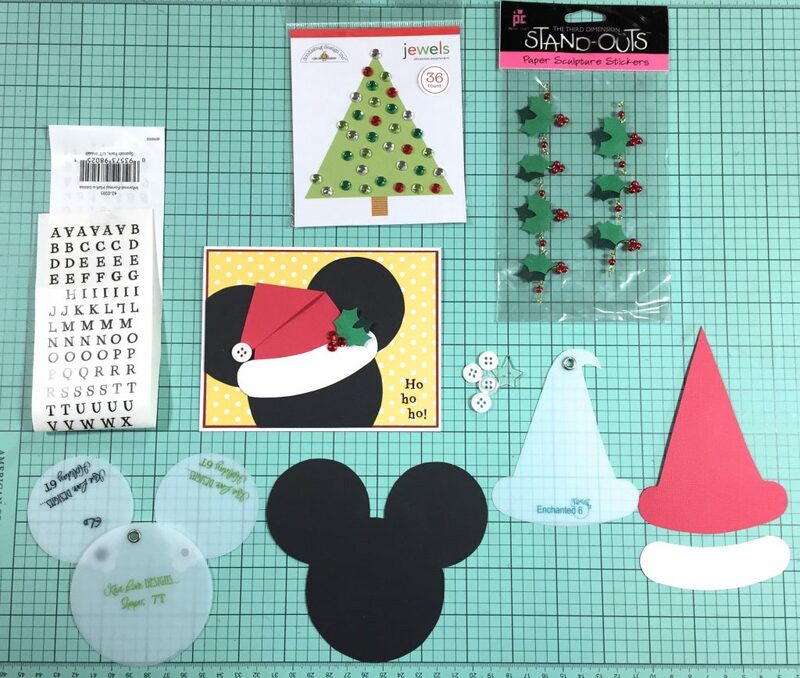 The mouse ears are larger than the card, so leave some hanging over the edges and trim off the excess. For the Santa hat, fold the tip over at an angle that looks good to you and adhere. Adhere the white brim, add a button for the tip and some holly leaves with red jewel berries and add it to the mouse ears. Now add some small letter stickers to the corner (whatever message you want), and you’re done! This is such a fun and easy holiday card! I hope my friend loves them and her kiddos love their Christmas present! !